When Frontenac homeowner Sandy and her husband decided to downsize they needed a house that worked with their new family dynamic. 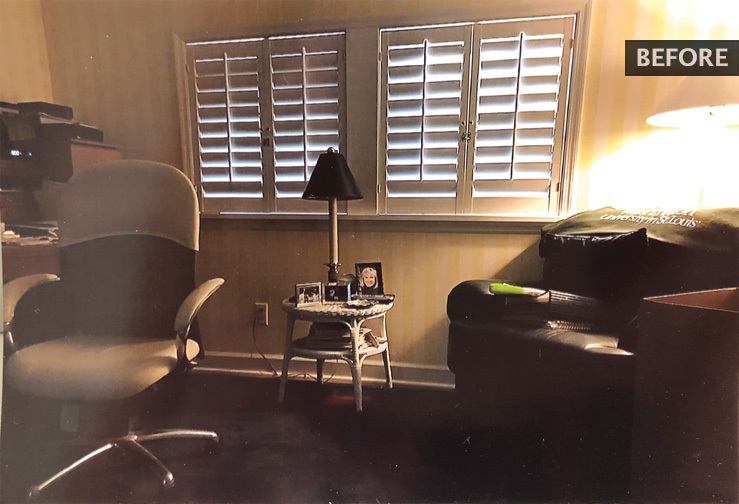 “Our children got married and moved out, so we knew it was time to get a smaller home, but it still needed to have space for our close family to gather,” Sandy says. The home they found sat on a wooded lot that granted them ample privacy and a view they knew they needed. “The house didn’t have any brightness and the rooms were very cut off from each other, but my husband saw the house for what it was. It was a fixer-upper with the land and privacy that we wanted for ourselves and our family,” she explains. First, they sat down with designer Jennifer Rapp of JCR Design Group who they enlisted to create a new floorplan to maximize the home’s functionality to create the aesthetic they desired. Sandy also needed the house to have a comfortable flow to accommodate their children’s growing families. 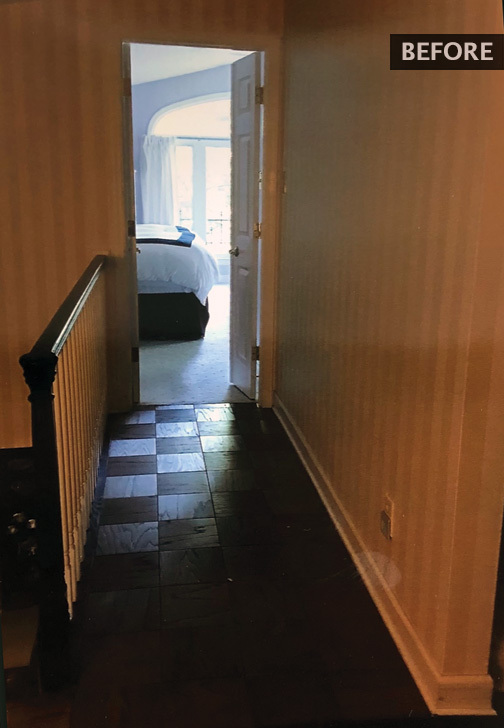 When they bought the home, each room was separated from the next by walls, making it difficult to navigate from room to room. Rapp and JCR Design Group decided to remove the wall between the dining room and the kitchen to create a more open and spacious kitchen as well as a more casual dining area. 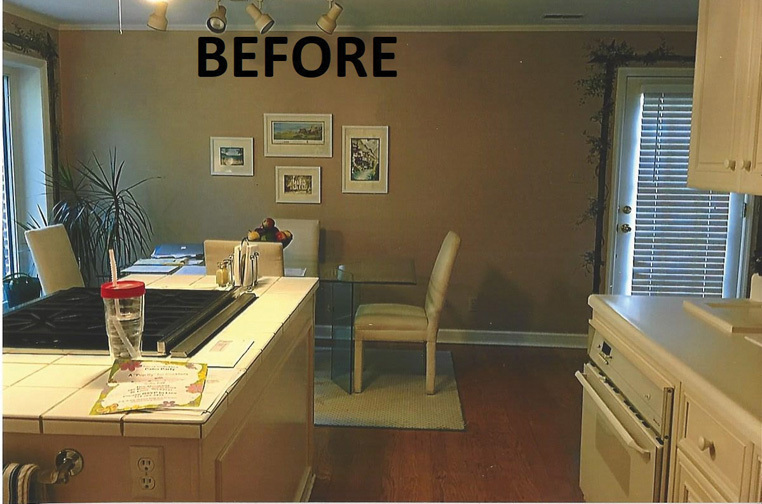 This, Sandy assured, was her favorite part of the renovation because the house started becoming what she and her husband had envisioned for their future. 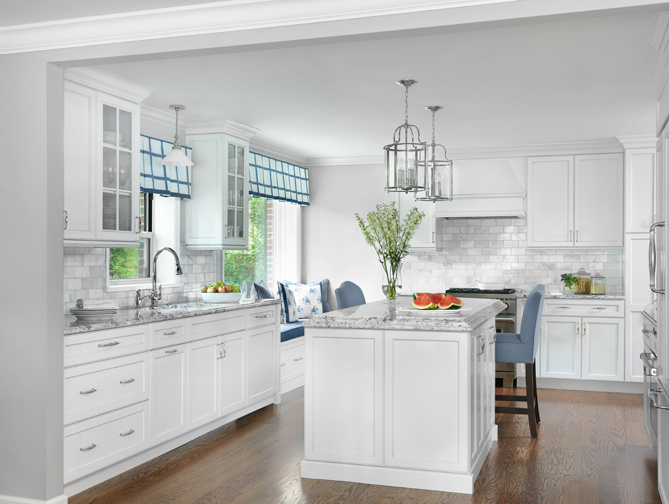 Rapp redesigned the kitchen with a more functional layout and well-appointed details to offer a classic, timeless appeal. In the adjacent dining area, the custom built-ins flanking the picture window and richly-appointed window seat together with the unique trestle table create an air of casual sophistication. Flooring was replaced with hardwood throughout, and in the remodeled foyer, a large italian tile resembling statuario marble was installed. The second floor was reconfigured as well. JCR created a master bedroom hallway by enclosing the stairwell and relocating the entrance. This enlarged the bedroom and provided space to relocate the bathroom door and add a linen closet. The layout was immediately improved and a sitting area added, and valuable space was gained inside the bathroom to enlarge the shower and vanity storage. 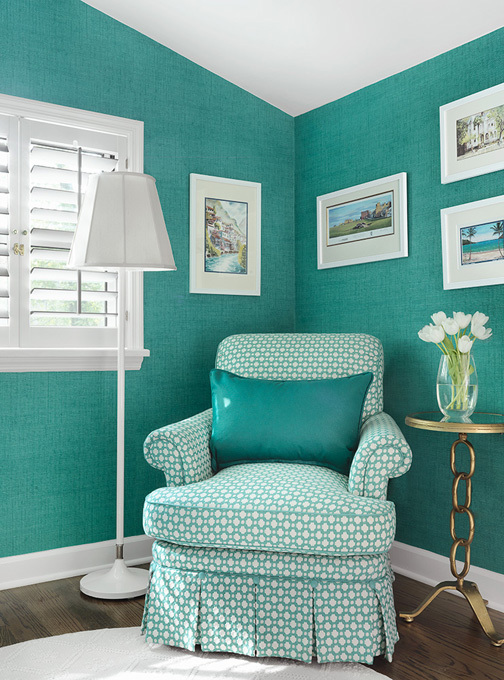 Outside the bedroom, an office with a built-in desk and reading nook complete the cheerful and inviting master suite.